Imagine a future where cars are self-aware and can virtually detect other cars or even pedestrians around corners all in the name of safety. That’s exactly what the brilliant minds at Qualcomm hope to deliver in cars in the next few years. 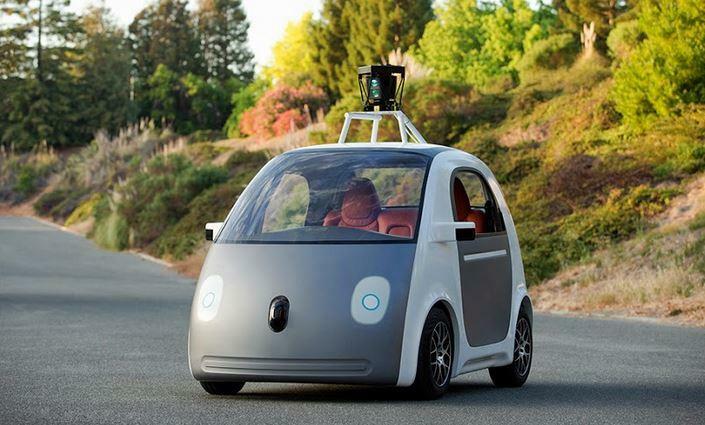 Surely today’s automobiles are already smarter than the ones driven on roads a decade ago. Cars today are enabled with navigation, Bluetooth and cameras that will detect speed and even trigger cars to stop to prevent collisions. 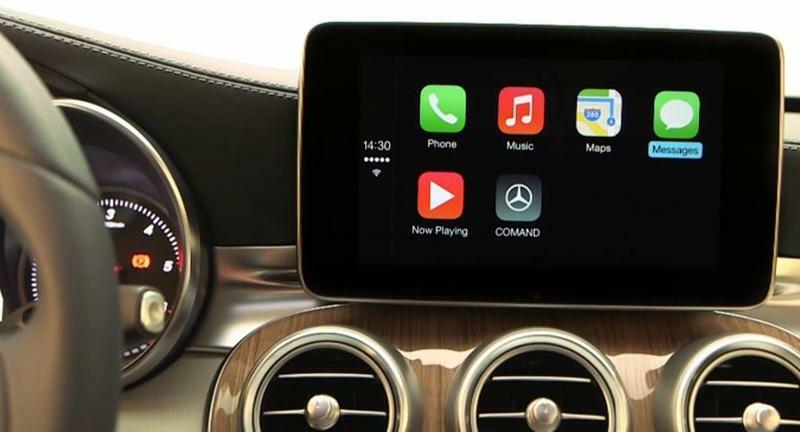 And we’ll soon see cars outfitted with Apple CarPlay and Android Auto that will deliver even more timely information (with hopefully fewer distractions) to the driver. Tesla just announced enhancements coming to its Model S (and future cars) that include self-driving capability. But in the eyes of Qualcomm that technology is already present and there is much more to be developed for tomorrow’s cars. We had the opportunity to sit down with Kanwalinder Singh, senior vice president of business development for Qualcomm, to get a glimpse of what cars can do in the near future. Most consumers today have a really well versed understanding of what information is available and where to get it, like traffic data (e.g., Google maps, Waze) and entertainment (e.g., Pandora, Netflix) and some ability to be able to pull that data. We now have connected cars that not only allow data (traffic, weather, etc.) but cars can now act as connected Hubs that have built-in hotspots into the car. Some of you may say, “Great, but my phone does that.” Well yes and no. As far as your smartphone’s navigation goes, you’re limited by the smaller form factor and in turn the quality and quantity of components that are embedded into the device. Your car has far more data points than your phone does. Ever wonder why sometimes Google Maps or Apple Maps can’t pinpoint you as well as you wish and goes slightly off course? For Qualcomm the immediate goal is to get your car and phone to work together to collect and deliver even more pertinent data to the driver. By taking advantage of the car’s sensors and data points driving can become more pleasant and safe. Sure today there are cameras and radar sensors on cars that detect lane departure, smart cruise control and even safety braking. But Qualcomm believes its technology can be used to see beyond what cameras and radars can see. Firstly it is about integrating vehicle to infrastructure technology, or in other words, cars will one day talk to the road. Imagine if your car could talk to the road in a way where it would alert the driver how fast or slow to drive to keep it from hitting red lights at traffic signals, sure apps like Waze does a decent enough job of navigating around traffic but it doesn’t get to this level of detail. 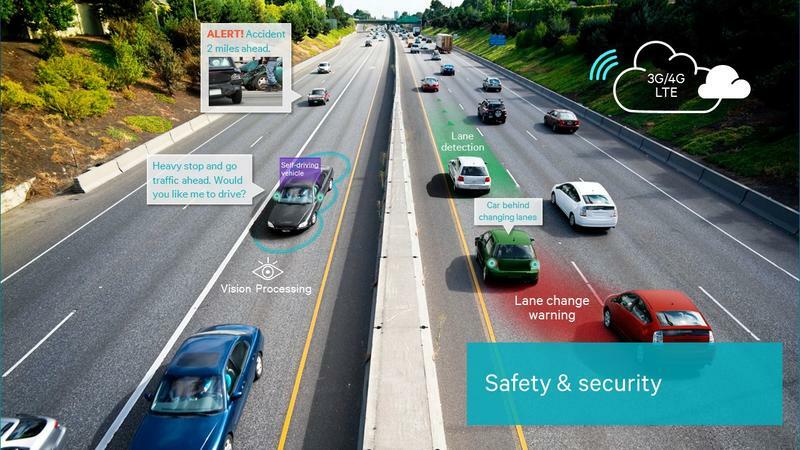 While convenience and speed are worthy enough improvements (think of the time, gas savings and money, as well environmental impact) there are certainly safety improvements that Qualcomm has in mind with its next gen smart car tech. That’s where 802.11 P Wi-Fi technology comes in to play, where your car will be able to virtually detect cars and people around corners. Singh tells us that by 2018 60 percent of cars will be connected and that 1 out of every 5 cars will be self-aware, meaning that this technology is not that far away. Which means we can start driving cars of the future very shortly.